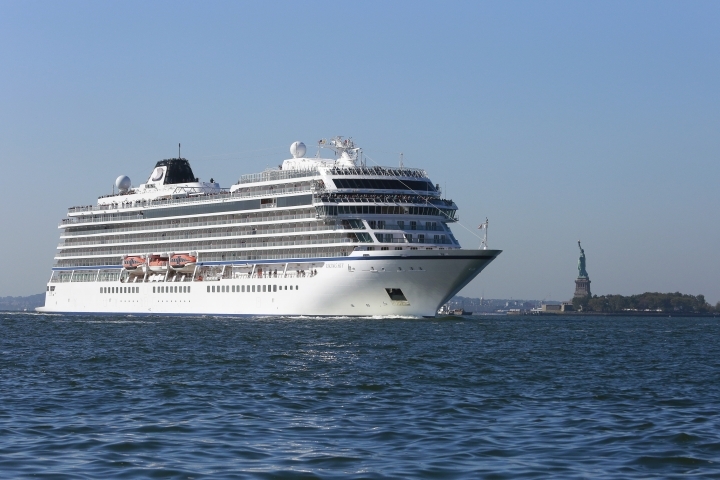 NEW YORK — Cruise ships carrying thousands of people have gotten all the headlines in cruising in recent years. But there's also been a boom in small ships, river cruises and what's known as expedition cruising on ships designed to sail in places like the polar regions. New river ships are launching this year from brands like AmaWaterways and Crystal Cruises. New expedition ships are coming out from Ponant and Scenic Luxury Tours & Cruises. And Viking, which was once known just for river ships, is coming out with its fifth ocean-going ship this year. Even Viking's ocean-going ships are smaller than the 4,000- to 6,000-passenger vessels that have become de rigueur at big cruise lines like Royal Caribbean: Viking Orion, which debuts this summer, will carry 930 guests. But the experience of sailing on a ship that carries a few hundred or even 1,000 people is very different from the experience of cruising on a ship so big that it's practically a floating city with dozens of eateries and water parks with massive slides. 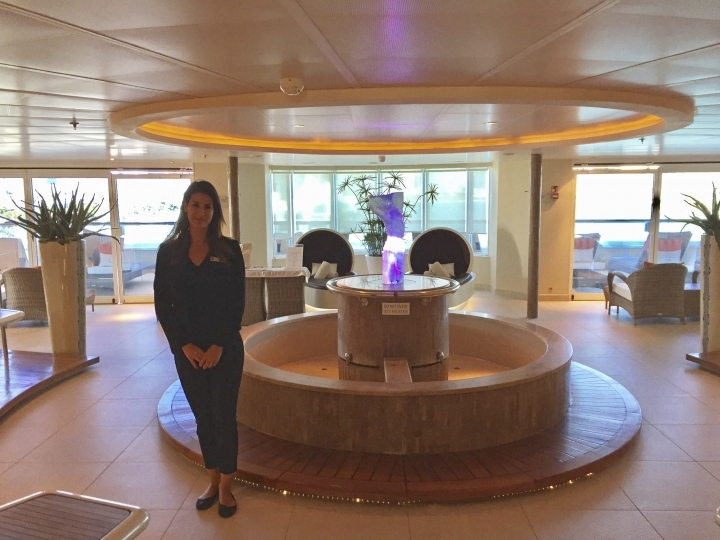 "It's not about the slides," said Eva Santiago, assistant cruise director aboard the Seabourn Sojourn. Santiago was one of 360 crew members on a recent sailing with 450 guests. That ratio of nearly 1:1 staff to passengers offers more personalized service than is possible on a ship four or five times bigger. Smaller ships won't have a full production of a Broadway show, like "Hairspray" debuting on a new Royal Caribbean ship this year, but you might find Santiago singing opera on the deck of the Sojourn under the stars. Small ship cruises are usually more expensive than big ships but they're also usually all-inclusive. That means alcohol, shore excursions and other items that you'd pay extra for on a big cruise ship are covered in the fare for a small ship. Smaller ships may also be more understated in style, with a casual elegance that's a stark contrast to the glitzy Vegas-style decor that's often a hallmark of massive spaces on bigger ships. Or if they're expedition ships with a focus on rugged adventures to see wildlife and scenery in the Galapagos or Greenland, the ships may have fewer creature comforts onboard but a more compelling experience on land than you'd get in a typical port of call in a beach town. But smaller scale doesn't preclude smaller ships, especially the newer ones, from offering special features. Ponant is launching two new ships this year, Le Laperouse and Le Champlain, with a lounge called the Blue Eye. Located beneath the water line of the ship, the Blue Eye will have two windows and digital screens showing images from underwater cameras, and it will also transmit underwater sounds and vibrations. A ship coming out in 2019 from AmaWaterways, the AmaMagna, will have a built-in expedition platform for watersports, making it easy for guests to use paddleboards, Zodiacs or kayaks. 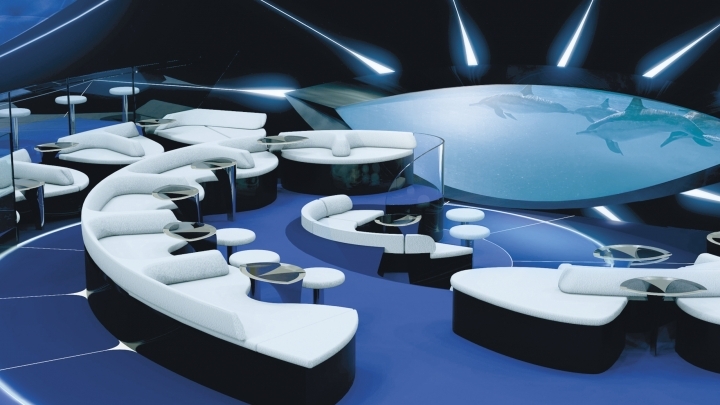 Scenic Luxury Tours & Cruises is launching a luxury yacht this year called the Scenic Eclipse, with a 228-guest capacity (200 for Antarctica, where passenger numbers are regulated). The Eclipse will serve both polar regions and everything in between in the Atlantic. Its amenities include helicopters and a submarine for guest use. Many smaller ships also specialize in far-flung itineraries that may be unfamiliar to Americans more accustomed to Caribbean cruising. Paul Gauguin Cruises, named for the French painter who visited Tahiti in the 1890s, offers trips to French Polynesia. Celestyal Cruises homeports in Greece and specializes in the region, but also has seven-day trips to Cuba that offer more time on the island than big cruise ships with one or two nights in Cuba as part of a longer Caribbean sailing. Even European river cruising has more options than many people may realize. "In Europe, you can cruise from Belgium and Holland all the way to the Black Sea," said AmaWaterways founder Rudi Schreiner. "That's 3,000 miles of uninterrupted waterways in Europe."